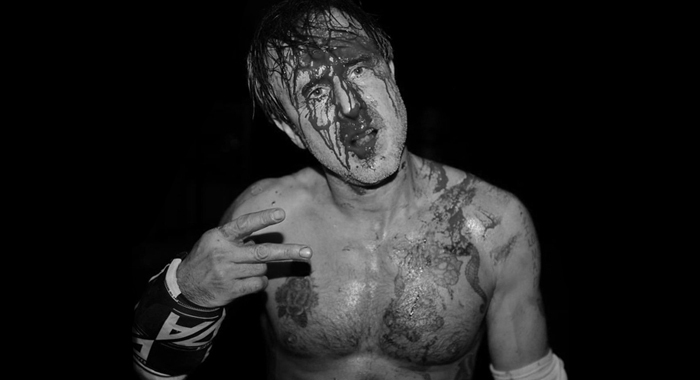 Hollywood actor, director and producer (and former WCW World Champion) David Arquette has been back in the wrestling game for about six months now, training hard and working various indie events all around the country. This past weekend, he may have bitten off more than he can chew. Arquette was understandably beaten bloody in the bout, including shots from all kinds of weapons and a highly controversial moment where Gage shattered a light tube over his head. During the incident the Scream star was sliced in the neck, resulting in an awkward moment where it appeared that he was “shooting” on his opponent briefly. The 47-year-old actor was taken to the hospital immediately following the bout, and has released the following statement via social media claiming that his injuries in the match were a result of his own inexperience.